I didn't think that this could be a continuing post , but, well, here's another quietly understatedly magnificent cover in the Fat series. (Post #100, on Fat Art, is perhaps the most-viewed of all posts made here.) This one, published in 1934 by the Department of Scientific Research of the Institute of American Meat Packers (Chicago, 59 East Van Buren street), has little or no fun in it once you get by the cover. It is 70 pages worth of scientifiana on lard (though the sub-chapter heading on page 31 is a delightful and probably never-to-be-repeated "With Five Lards", following the sub-head on page 30 of "Using 44% of Each Fat". The whole of it though is some pretty essential work on the use of lard and fat in shortening and the like; I'll just stay with the cover. Dillon Myer, who was the director of the War Relocation Authority, testified in Congress on 30 April 1945 that it was time for the "relocation centers" to be closed, and for the "evacuees" to go home. And to go home on schedule. "Not later than 15 months, after revocation of the general exclusion orders, all evacuee property services to persons other than excludees (including segregees) will terminate, and all evacuee property warehouses not utilized for the property of such persons will be emptied..."
I expect that few of the American Japanese wanted to linger. For a painter to make a point of looking for poetry in the conception of a picture is the surest way for him not to find it.--C. Baudelaire. The qualities of being indistinct certain have their places, though those places are relatively rare in areas like the engineering of dam or bridge building, or in the rules of a game like chess. Over time these qualities have certainly changed and manifested in different fields, say, for example, in literature and art--particularly in art. This brings us to Melville and Turner. It is a curious thing to see Herman Melville's collection of J.M.W. Turner engravings, to see what the man collected and what might have drawn him to those particular pieces. After all, Melville was a necessary collector--he needed things, sometimes needing them more than his family needed things, like food--and so to see the visual items that were "necessaries" is very interesting. And when you look at the engravings of the Turner paintings in most cases they bear little resemblance to the original. As a famous and respected, highly admired artist for more than 40 years, Turner's early works can also be considered famously 'indistinct". As a matter of fact, that was a major concern of some of the great artists and critics of the time, viewing some of Turner's beautiful pre-pre-Impressionist works. (His very highly Impressionist works reaching back to just before 1800, very well in advance of Boudin and Manet, Corot and Millet, Daubigny and Courbet, and the rest.) People didn't quite know what to do with the "indistinct" shorelines in his naval/maritime works, or the suggestions of people, or the fantastic mystical skies of deep foreboding and threat communicated with emphasis on color and suggestion more so than accurate physical representation. Robert K. Wallace takes on the issue of this relationship between the literary and artistic giants in Melville and Turner, Sphere of Love and Fright (University of Georgia Press, 1992) and discusses it very fully over 635 pages. I was interested to see the list of the Turner engravings collected by Melville and of course everything else that went along with that. Wallace notes John Landseer's reaction to one of Turner's earlier and not tremendously impressionist works (Sheerness as Seen from the Nore, which is a great title in and of itself) was very guarded, saying that the shorelines "are little more than threads in the distance", and writing in 1808 of The Confluence of the Thames and the Medway of the painting's "indefinity", and of his doubtfulness of the "indistinctness" of Richmond Hill and the Bridge". After all, even the pre-impressionists really wouldn't begin to make a full appearance for a few more decades, and the subject of suggestion of form in painting rather than their depiction was a very major issue. Rain, Steam and Speed (1859). Wallace relates a great story of the first Turner painting making its way to the United States, coming by way of a purchase by James Lenox of the Staffa painting, arriving here in 1845, already very deep into the career and life of Turner (1775-1851). When it arrived and unboxed, the new owner Lenox was extremely surprised by the suggestive qualities of the painting, which to him "appeared so indistinct throughout" (Wallace, page 74). 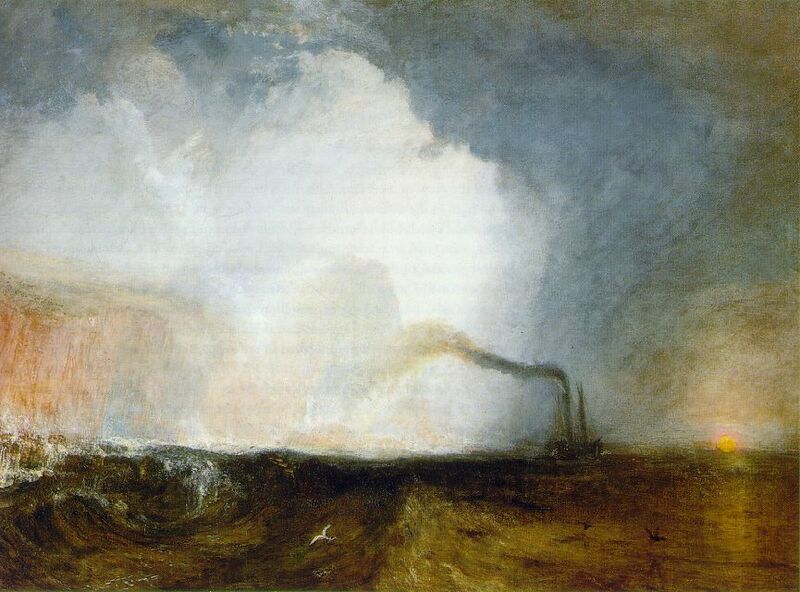 Lenox wrote Turner with his observations, when he wondered if the trip by sea had actually done something to the paint of the picture, rendering its detail obsolete. Turner replied that the "indistinctness is my fault". Lenox was certainly seeing something new--it was something revolutionary in art and vision, and not a spoilation by salt and sea. 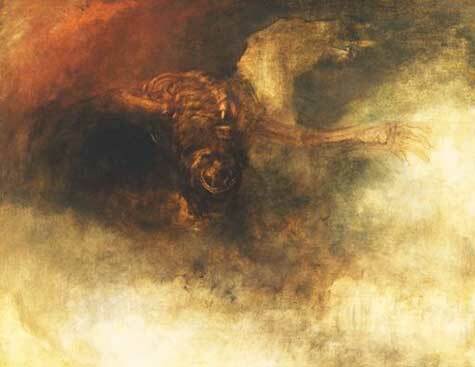 Another question is whether or not Melville would have known the difference, or if he was even aware of the great idea of indistinctness existing in Turner's originals, and what this new way of painting would come to represent. At this point, I'm not sure, and I'm not sure that I need to be sure, at all. Perhaps the issue is best left to question, being left to its own indistinctness, left for interpretation and imagination. I think that is good enough for me, right now. "Gelatin is a protein substance derived from collagen, a natural protein present in the tendons, ligaments, and tissues of mammals. It is produced by boiling the connective tissues, bones and skins of animals, usually cows and pigs." Gelatin of course is still around, present in all sorts of things, the Old School equivalent of the coming New School use of cellulose filler in everything--except of course that cellulose isn't the leftover stuff on the slaughterhouse floor. Lots of kid foods are made with it--gummy bears are just about all gelatin, all the time, with the exception of the shelf-life lengtheners and coloring. The first lively hard-sell pamphlet, The Use of Gelatin in Ice Cream, and Buttermilk and other Dairy Products (1935) was assembled by the "Gelatin Department" of Swift & Company. Swift (purchased in 2008 by JBS S.A.) used to be the world's largest processor of cows and pigs and other things with eyeballs and veins and brains, making them into food for human beings. The company (started in 1855) expanded into other things in the mid-19th century, getting into the insurance and petroleum fields. It used to own Peter Pan peanut butter, too. And Playtex, makers of bras and etc. I have to give Swift credit though for stating exactly what gelatin is, right there on the first page, in no-nonsense language. The short (12-page) pamphlet is then given over to a quick sales talk on the uses of gelatin--in chocolate milk, sour cream, cottage cheese, ice cream, sorbet and buttermilk--and how to prepare it. At first a reader might think that the use of gelatin in the pre-WWII days was not so widespread, until they remembered that this pamphlet was directed at just dairy products. There was a whole other world of gelatin use besides this one. And that’s been the story of Jell-O, a product of extraordinarily modest and not-pretty means, morphing itself and the Postum Company over a relatively short period of time (from 1895 to 1925) into the megamonolth: the General Foods Corporation. “America’s Most Famous Dessert” got its third (or better) start on life in Le Roy, New York, under the creative hands of Mr. & Mrs. Pearle B. & May Wait (true! ), who took sugar, powdered gelatin and artificial fruit flavors to make a concoction May called “Jell-O”. But her reach was none-too-grand compared to that of Frank Woodward, who bought the company from her and created the demand for this ‘food” and who ultimately created General Foods with it. (Its an old story: consumable and saleable product with no consumers: Marlboro cigarettes started out as a specialized cig for “ladies” and failed; the same cigarette was then re-marketed as a testosterone-laden product and then succeeded beyond all wild expectation, killing millions of its consumers in the process.) In any event Ms. Wait trumped another New York state resident, Charles Knox, in the race to develop a pretty and tasty granulated/[powdered gelatin desert mix. "Knox’s Gelatine", originally made with calves’-foot jelly, was a little earlier to the table than Mrs. Wait, but failed to properly develop his product. It also suffered its own "purity" by not having any sugar in it. Jonathan Swift's Gulliver's Travels (1726, amended 1735), or Travels into Several Remote Nations of the World, in Four Parts. By Lemuel Gulliver, First a Surgeon, and then a Captain of several Ships, is a great work that spills over into many different categories, being a forerunner to the modern novel, a sort-of children’s book that was for adults, as prototype of science fiction story, and of course a brilliant satire. The satiric nature of the book is pervasive and extremely visible, but yet the whole thing works splendidly, exposing and investigating the nature of corruption (of mind/soul), perception, value, the naming of things, the nature of judgment, and, of course, the soul of political intrigue. Everyone remembers the voyage of Gulliver to Lilliput, but there were other voyages as well, the book including: "A Voyage to Lilliput (May 4, 1699 — April 13, 1702)"; "A Voyage to Brobdingnag (June 20, 1702 — June 3, 1706)"; "A Voyage to Laputa, Balnibarbi, Glubbdubdrib, Luggnagg and Japan (August 5, 1706 — April 16, 1710)" and "A Voyage to the Country of the Houyhnhnms (September 7, 1710 – December 5, 1715)". But what I’d like to concentrate on here is the emptiness of the space around the empty non-existent (sorry) islands of Lilliput and Blefusco, which I think fits as a subcategory in this blog’s continuing series of posts on empty and blank spaces. The islands are well away from just about everything, being unfindable only if you’re a youngish sea captain blown off course, far to the south of remote and removed Sumatra. I'm happy that no one felt any particular need to need Mr. Kinst's (patented) bat. A nice history of bats can be found here. Mr. Kinst as he appeared in 1924. The image is found in the American Memory Project of the Library of Congress, and the caption to the photo is as follws: "SUMMARY: Head and shoulders portrait of Emile Kinst, inventor of a baseball bat, looking toward the camera, sitting in front of a light-colored backdrop in a room in Chicago, Illinois." We've all heard of the saying, "playing the money card" but until this morning I've never actually see it, so far as I know. While looking for WWI aerial combat games in the patent records I stumbled across "Capture the Kaiser", a card game created by Charles Hopkins (which was entered into the register at the Patent Office in November 1917 and received the patent less than three weeks after the end of the War)--it was a game of pursuit/capture using 45 cards in which players used the various strengths of nations (airplanes, submarines, battleships) to secure the outcome. It seems pretty much like a standard game of "War" with a few exceptions, one of which was the "finance card". It was one of the strongest cards in the deck, or so it seems, rivaling that of another interesting bit, the "fate card". In any event, it was interesting to see the root of power portrayed so in a card game for kids. The 1895/1896 issues of Nature magazine are compliantly normal until the first weeks of 1896 when the first of a flood of articles is published about the astonishing discovery of 50-year-old Wilhelm Conrad Röntgen. The English-language popular science journal announcement of his December 28, 1895 “Ueber eine neue Art von Strahlen" ("On a New Type of Ray"), appearing 16 January 1896, began the introduction of a new state of human experience. His experiments—built upon the work of J. Plucker (1801-1868), J. W. Hittorf (1824-1914), C. F. Varley (1828-1883), E. Goldstein (1850-1931), Sir William Crookes (1832-1919), H. Hertz (1857-1894) and the odious Phil Lenard (1862-1947 and who didn’t die soon enough)—revealed as much to humans as did the experiments and inventions of Hooke and Leeuwenhoek on the invisible worlds revealed by the microscope. There are more than 150 articles on the Roentgen (and soon to be “X-“) Ray, all published within 12 months of the original announcement, almost all excitedly, trying to comprehend, elucidate, expand, verify, this new world. 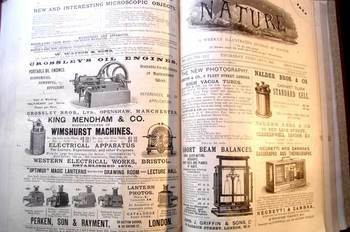 I looked at the advertising in these issues (my copies of Nature for these decades generally have the original paper wrappers for the weeklies, complete with ad copy), looking for the first time that a Roentgen machine was offered for sale to the general public. As it turns out, they popped up 12 March 1896 (once), 19 March (twice), and then about once a week for the rest of the year. A little surprising, I think, a little light to my Monday-morning quarterback’s eye—I expected more; bigger, more, splashier. But the ads are small and sedate, hardly similar to the discovery they represent. 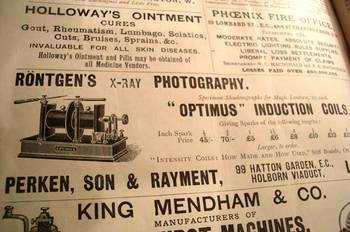 The rest of the world, the rest of the advertising world, stayed the same--the Roentgen discovery and the enormous possibilities and promises of his “new photography” lived in their own unique sphere, unencumbered by their sassy new brother. This mild response seems dimmer still when you compare it to that which greeted other (relatively) simple but still major advancements in the world of photography. 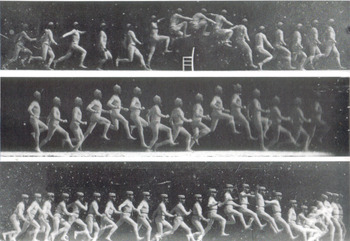 Take for example Etienne Marey, who was a technoid and physician who was able to capture motion of all sorts--he was able to develop a picture so to speak of the movement of blood in the body via his instrument to calculate blood pressure, and he also created a shotgun-style camera that made the world's first high-speed photographs of movement. And so it cane to pass that in the late 1870's and early 1880's people were instantly able to see what a horse looked like when it galloped or what the body did *exactly* when jumping over a chair. 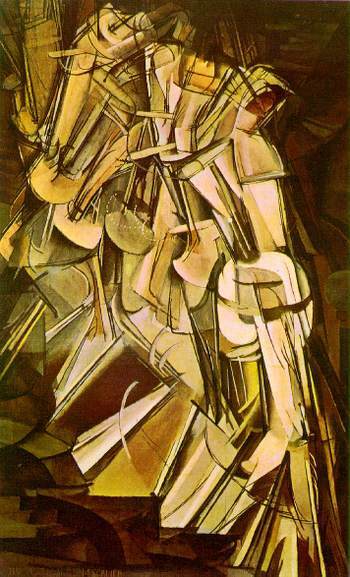 When you couple this with fourth-dimension material one wonders why it took several more decades to bump into these images in the art of 1907+. 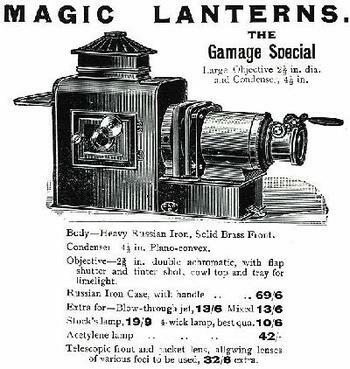 and magi lantern slides appear at all levels; the gorgeous Wimshurst machine gets heavily advertised; the redoubtable Negretti & Zambra advertised all manner of excellent scientific instruments (biographs, thermogrphs. Nadeer Bros. advertised a pretty standard cell, and the ancient Crossley displayed their “new” oil engines, “suitable for all classes of agricultural work”. J.H. 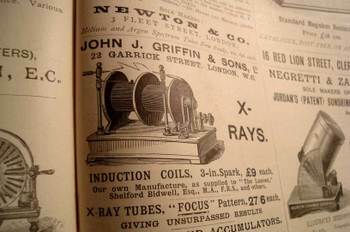 Stewart was selling their semi-automatic electric arc lamp, while across the page was Newton & Company’s “Newtonian” arc lamps for lanterns (“self feeding and focus keeping”). Microscopes and prepared slides abound, and Thomas Bolton advertises discretely and effectively for their “living specimens for the microscope”. The Physical Review, the American upstart in the science world advertises that its third volume was available, while its distant cousin, the Psychological Review, advertised its own third volume. Booksellers seem to take the most space, thank goodness. There are a few medical throwbacks: Epp’s Cocaine takes out occasional tenth-page ads for their “cocoa-nib extract, tea-like” selling its ‘gentile nerve stimulant”. 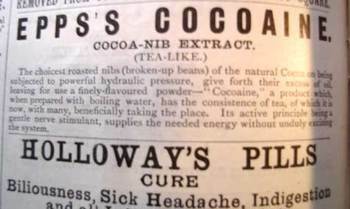 Right underneath is “Holloway’s Pills”, promising to cure biliousness, sick headache, indigestion, and all (?!) internal complaints. These are brilliant simple samples of the skeleton of science in world-dominant Great Britain, in a world dominated at that time by H.A, Lorentz, Ernst Mach , Roentgen, Korteweg, de Vries, Bateson, Jean-Baptiste Perrin, Pierre Curie, Zeeman, Becquerel, Joseph Thomson, Ernest Rutherford, Marconi, Ramsay, Fitzgerald. And so on. fragility of life, and the strong presence of death. 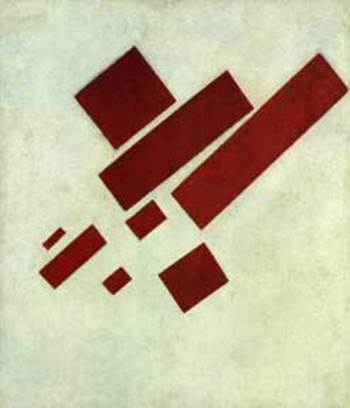 Many had the same reaction to the Kandinsky's shapes and Malevich’s white circles and red rectangles and Ibsen’s drama and Einstein’s dancing dust and the rogue syncopation of jazz. It is probably a very natural reaction to try and protect established memory—but memory should be more flexible than that, I think, to keep a healthy mind. Looking for (workable) patent models/templates for folding paper chess piece carriers (there are such things) I found these game patents, all of which are based to some degree on chess. I'm not sure why you'd play them if you could simply just play chess, but, well, they do seem like an interesting diversion, though from the little I read on actually playing each of the games they seem somewhat hollow. They are, however, pretty-looking things if not pretty-playing. Each image is clickable back to the U.S. Patent and Trademark Office where there is an accompanying text which sometimes gives enough information so that you could play the game. The story of iron is very old in Europe--and much older in China, older by more than another thousand years or so. In Europe, though, iron from a blast furnace that has a high carbon content and a low melting point is called cast iron, and is quite brittle and cannot be worked by a smithy; fining is the process of cooking that cast iron up to its boiling point and skimming away the carbon, thereby giving the iron a higher melting point and a great capacity to be worked by a smith. This product is called wrought iron, and it was a major step forward. Which really does have something to do with a more popular definition of "fining", which for the sake of simplicity would mean just to make something, well, "finer". I can imagine an eight-year-old figuring that out when aged six. A good, no-nonsense, perhaps 400-year-old word. I'm not at all sure when the first stories were told on the implosion of the sky, or when the sky was peeled away like a layer of mica, or when an expanding hole was punched into the blue, or when the sky dissolved, or when it simply fell to the ground, or when it was simply exploded, any of which would leave a shambles of broken stars and a boring nothingness. Visions of the coming of hell or the apocalypse or the end of existence or the exaltation of duration were certainly depicted in art at least during the high Medieval period and the Renaissance, though I am uncertain of ever having noticed the sky on fire or facing obliteration. Perhaps the implications of its destruction would be clear in the symbolic representation of The End, the evidence of a smoking atmosphere in an infinite hole was just implied, Dr. Pangloss at play with Mr. Leibniz over paint and canvas. Heaven opened and stars fell in various texts, not the least of which is the Book of Revelation (6:14, KJV, “And the heaven departed as a scroll when it is rolled together; and every mountain and island were moved out of their places”). Imaging this part though was another story, especially when considering that destroying the sky was a secular event, and not driven by the great deities. Now holes do appear in the sky in Renaissance images, but they open to allow the hand of the creator to reach through it from the nether world, or heaven, or the infinite. In the many examples of these holes that I have seen the background within the hole is entirely blank--plain white, no detail, no peek into heaven. Then again, these are holes, and not a wholesale destruction of the sky. As an example I’d like to point out the work by the Jesuit Franciscus Nerrincq (1638-1712), De goddelycke voorsienigheydt, in which there are several odd eyes that burn their way through the atmosphere. Eyes/eye of the creator occur frequently in religious presentations and emblems, but not so very often as hands holding a pair of eyes. I know all of this is very heavy stuff in the history of Christian iconography and the progression of emblemata, but I’d rather deal with the images out of context here and have them stand on their own without interpretation. Of course the answer for the modern equivalents of this blowing-up-the-sky adventure must have deep and varied roots in the sci-fi canon, though presently they remain a mystery to me. It is interesting to note that at one point in June 1945 in the Jornada del Muerto/the Dead Man's Walk, at the Trinity site in the desert near Alamogordo, a group of scientists were placing bets as to whether or not the test explosion of the world's first atomic weapon would set fire to the atmosphere. In a way Tycho Brahe brought down the sky with his (naked eye) observation of a super nova on 11 November 1572. With the exception of comets and eclipses the sky had remained immutable, a perfect score of the creator’s creation, until Tycho Brahe noticed something new in Cassiopeia, something that was not a comet—a “something” that was a star. This was momentous because the night sky had been seen for centuries as being complete—a new star, the Nova of Brahe, contradicted this high belief, offering the possibilities of newness where there had not been one previously. And so too with Kepler’s new star of 1602. This wasn't perhaps a tearing-away of the old sky, but it certainly questioned the sky that was seen. I should also point out that perhaps a reverse of the destruction of the celestial ceiling came about when Galileo turned his telescope to the sky and found to the astonishment of nearly everyone that there was an order of magnitude more stars in the heavens than anyone had ever experienced before. This in a way collapsed the old sky with its perfect and unchanging number of stars, showing that the creator of the universe had indeed provided more stars than anyone had ever imagined, though for reasons not yet known had kept that knowledge from humanity. By 1610 Galileo had produced his fifth and most powerful telescope, allowing things to be seen one thousand times closer, using it to make enormous discoveries–discoveries so big in fact that their towering significance is a but hard to understand today in the context of early 17th century knowledge. It was all published in his fantastic Sidereus Nuncius on March 4, 1610—the extraordinary title page1 of the book proclaiming some of the great discoveries of Galileo’s adventure. One of the things that Galileo brought to the world was this entirely new sky, revealed to him through his telescope—so many stars that he could only guess (though he reckoned that there was an order of magnitude more stars than previously known “stars in myriads, which had never been seen before…and which surpasses the old, previously known, stars by ten times”). In a way Galileo introduced the sky-above-the-sky, available only to people with a special instrument to see it--the new reality. J.M. Cordray came up with and patented this notion--a barrage of balloons, heavily armed balloons, sent aloft with dangerous cargo to be exploded in the atmosphere, which was supposed to initiate a chain-reaction of some sort which would end in supplying rain for the rest of us. Theoretically, anyway. The unspecified number of balloons would be sent aloft, laden with large amounts of crushed bone and concentrated sulfuric acid (to be combined to produce nitrogen), potash, water, and large amounts of crude oil for the fire's fuel. And a candle to light it all. It seems that the attempt to blow up a part of the sky with bone and sulphuric acid to make rain just didn't work, though I cannot (easily) find a record of the experiment being attempted. Mr. Cordray presented himself at the top of his patent as "J.M. Cordray/Rain Maker". The one thing that is for certain is that Cordray's attempt at weather modification was quite early--it would be another three decades before pioneering work of Kurt Vonnegut's brother, Bernard, was published (beginning in 1947, finding the ice-nucleating properties of silver iodide, AgI), which established the very real possibilities of altering the weather. This practice was employed in the U.S. military's Operation Popeye, which used cloud seeding to prolong the rainy seasons along the areas covered by the Ho Chi Minh Trail in Vietnam from March 1967 to July 1972. This sort of weather warfare is now prohibited by international convention. And so in a way by employing weather modification as a tool of war we've been able to turn the sky into a weapon, which means that this post has followed the bombing of the sky to the sky bombing us. See an interesting article at Paleofuture on the Cold War weather modification attempts here. 1. The title page in full reads: Great and very wonderful spectacles, and offering them to the consideration of every one, but especially of philosophers and astronomers; which have been observed by Galileo Galilei … by the assistance of a perspective glass lately invented by him; namely, in the face of the moon, in innumerable fixed stars in the milky-way, in nebulous stars, but especially in four planets which revolve round Jupiter at different intervals and periods with a wonderful celerity. The portfolio of images is available at our blog bookstore, here. Sometimes as the saying goes a bad answer isn't right; and sometimes it isn't right so much that it isn't even wrong. Here we have a collection of not-even-wrongs, tidily collected in one pamphlet. It is a booklet of "predictions" that are so deeply off the mark that I suspect the author would not even be able to make post facto predictions. Had author R.J. Rasmussen (The Amazing Future, 1938) real powers of diving the future he should've been able to see that choosing to be so dreadfully wrong about the events of 1939 was a truly bad thing to do--of course, if there was some sort of unknown and spectacular power in his brain to see what was coming, the least he could've been was right. But he wasn't, and he wasn't right very widely, and very widely not right almost all of the time. To give the devil his due, Rasmussen did get some broad images correct--like in 1939 a world leader will get sick and die. (Actually, the world leaders dying in 1939 weren't current leaders, but that is a particular that escapes detail when thinking about stuff that will come to pass.) And then there's the bold "a high ranking officer in the U.S. army will pass away". But those broad brushes are about as close as it gets to "prediction". He was right that there would be a year 1939. The rest is "anti-prediction": "I want to advise all pilots and their aides in the United States...to use utmost good judgment in flying your planes". And "again I say that no war will be declared on or with Germany", cancer will be cured on or before August 26, 1939, and there will be an increase in textile production in the U.S. The Japanese war against China "will be over by August 21, 1941", though the cost will be monumental to the Japanese, somehow; Germany "will continue to forge ahead" (? ), the map of Africa "will be completely and totally changed" by 1942, and "during this period there will be increased interest shown in higher lines of thought". And so on, on and on--by the hundreds. Finally, among everything else that the author didn't see was the following: "the persecution of the Jewish people in Germany will gradually grow less and less that they have ever know in the past thirty years, and before the year 1939 has passed it will have practically ceased in Germany". I must say that of all the minor pamphlets like this that I have seen Mr. Rasmussen made the most detailed and incorrect predictions of anyone that I have ever seen--the only further step backward he might've been able to make was to have written this book in 1941 and gotten all of the history wrong. I found this rather, well, remarkable American patent by Albert Vanderlaan for 30 August 1927, which described the inventor's idea for the utilization of human remains. 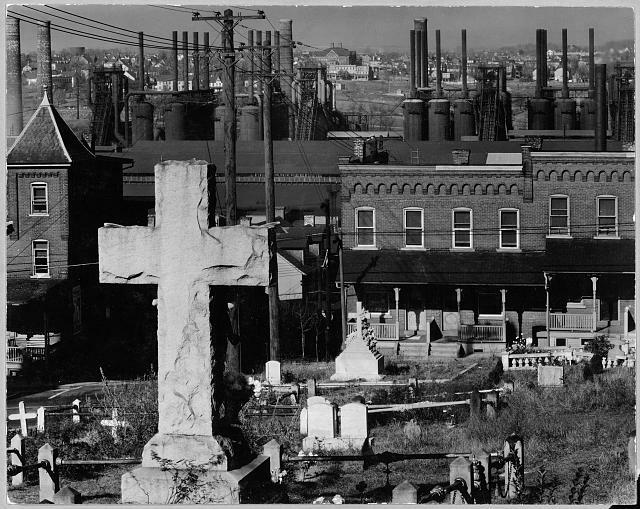 Vanderlaan found it distasteful to have cemeteries, which only served the function of keeping rotting bodies together until they were forgotten, and suggested that we put the dead to work. That is, the dead should be cremated, the ashes mixed with a building material of some sort, and then the whole made into something and put to use. Vanderlaan's prose is 19th century--perhaps he was instructed in school by an older person educated in 1840 for his own late 19th century education. The sentence structure and vocabulary suggest this--or perhaps he was just a poor writer and found difficult words to stick together. In any event, I thought that the prose sounded (and looked) better if made into a poem, or at least given the structure of a poem. And so here it is. The entire poetized patent is presented without interruption, and all of what follows are the words of Albert Vanderlaan. Method Of Perpetuating Human Remains And Article Made Thereby. relates to a method therefor and article made thereby. of his mortal remains by burial in earth.